One way of adding interest to an image and to draw attention to the main point of interest that you’re attempting to highlight is to incorporate an internal frame into your composition. 1. It gives the image depth and helps to give the perception to viewers of it that they’re looking at something that is more than 2 dimensions. 2. Use correctly, framing can draw the eye of the viewer of an interest to a particular part of the scene. 3. Framing can bring a sense of organization or containment to an image. This won’t work with every shot – but if you’re after a more ordered or formal feel it can be useful. 4. Framing can add context to a shot. A photo of the woman in the first shot (left) without the window frame would tell you less than the shot you see with the rustic looking window frame around her. 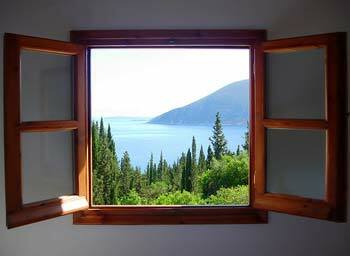 Frames can take many forms – from an overhanging tree, a window, a bridge, arch or even part of another person etc. When using this technique – look for a frame that has a similar shape to the main subject that you’re framing. Frames can also be in the foreground or background of images (although more often than not they’re in the foreground). Lets look at a few examples of framing at work in the composition of digital photographs. Some are more ‘classic’ or ‘traditional in composition – others more experimental (click images to be taken to the photographer). I file all the weekly postings for one purpose; to re-read them. And as I learn more, I find that each reading offers different insights. As a New Zealander living in the South Pacific, I just love the way an unknown person in a different part of the planet takes all this effort for other unknown folks like me. So thanks Darren. I love the variety, the format and the discussion that follows. Great source of info. Love this website. I personally love this website and it has been a great source of information and assistance to me on many assignments. I visit regularly but cannot be guaranteed to catch everything so articles being reposted are a great idea. Keep 'em coming Darren! I don't mind the repetition at all. Photographers were not born at the same time, so people pick up things at different times. I personally enjoy DPS. This site does not have the "high-nose-I-know-it-all-attitude" that often intimidating and discouraging newbies like me. Hopefully many are inspired by this topic, especially for the weekly challenge October 2010.
best thing for me on this website is it provides knowledge in the area which starting photographer face a lot like rule of third , white balance,ISO, shutter, aperture and many more. I have just started visiting the website and I'm glad i did. The tips and discussions on this website are amazing and extremely helpful. On the subject of frames and borders, I was wondering, is there a post on this website with a guide on how to create a professional looking border? I have seen a lot of photos all over the web with some great, simple yet very professional looking borders and like mentioned in this post, the pictures look amazing. I would like to do the same and want to know how one can create a border. This might have already been discussed somewhere else on this website, but i would really appreciate some guidance. Well.. Framing does add some beauty to certain photographs... But i feel that some photos look more natural without it.. The greatness of the photography is in it's simplicity :) in 99.99% the simplest photograph is the most stunning and with the most WOW effect :) But that's only my opinion... there are so many things that we can use to make stunning images .. we just need a little imagination. Darren, you're doing AWESOME job with this site, no matter how many times you post a tutorial or a sample, there will always be new audience who will want to learn all the great things you have in mind. My daughter is doing pictures in her art class that show the rule of thirds. Some of the pictures she's taking are being rejected and shes not sure about the rule. Can you explain in more detail what this rule consists of and how it should be applied better? Good tutorial and Great pictures! Thanks! By the way, I'm using ImageFramer application for creating frames for my photos on my Mac. It's much faster than using a Photoshop - Mac users can give it a try! Anyone knows additional framing applications? Don't think of them as a repeat. Think of it as a refresher bringing a great tip back to the front of your mind to use in your current work. Keep the brain cells stirred up. I found the examples inspiring. I'm going out to find some framing opportunities. Thanks! Thanks for the information. I love using framing but sometimes it ends up focusing on the opposite. Still figuring it all out. This is also a nice example of repeating patterns and a great use of a frame. I think DPS is a doing an excellant job. As far as reposting old topics... there is always something new in old ones..
Can I add some of my framing shots here ??? the pdf is a good idea and one we've considered. It's just a matter of finding the time (scarce). To do it properly we'd probably put a small charge on it too as it's a labor intensive task. Hopefully in 2008 we can put it together. Thanks for the tip's Darren! I like the repeats/refresher posts. It's a good reminder for me. I just can't possibly remember all these things. Those pictures are beautiful! That pdf idea is brilliant. I love it when you repost articles. I seem to remember going through the archives when I joined a while back. However, I learn new things daily, so often a post of an article will not only get me reminiscing about the time I tried the technique, but also has the added benefit of inspiring me to give it another go to perfect it further. Very great idea. I'm pretty sure I take internal framing into consideration; however, I know I'll think more about it now! Great article. I concur with Darren. I've NEVER seen this post before since i'm only here for a couple of weeks. And it sure is a helpful post. Thx again for the SIMPLE but BRILLIANT idea. 1. we do repeat some of our more useful tutorials. The reason for this is threefold. Firstly - we wrote a lot of posts in our early days that the vast majority of our readers have not read because we didn't grow that fast for 6-12 months. Secondly it takes a lot of work to keep coming up with fresh topics after a few years of writing on this topic and we don't have the resources to pay a full team of writers. Thirdly - we update a lot of our old posts before reposting them. 2. you're always welcome to submit a fresh post. We welcome our community members writing guest posts for us.